It's Deepika Padukone's birthday today and boy, am I stoked about it! What I love about her is that she's not only pretty and smart in 'reel' life, but in real life as well. 2018 was a very memorable year for Deepika. She married her soulmate, Ranveer Singh, and her film, Padmaavat, was a hit at the box office. As her career choices kept taking her to greater heights, her hair and makeup preferences have changed along the way too. When it comes to makeup now, Deepika's eyes do all the talking. There's a pattern she's followed for the past year. Bold and heavy eye makeup is her thing and she's mastered the art of pulling off the trend with uttermost grace. 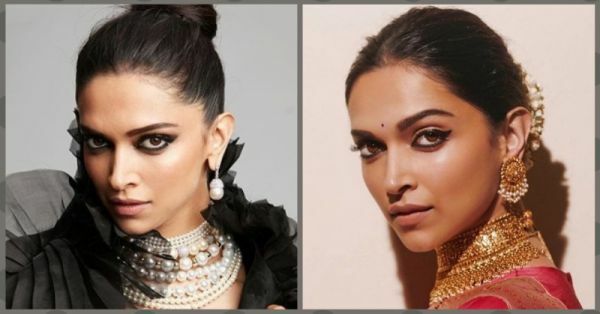 Here are 9 of the boldest eye makeup looks I'm lovin' of Deepika. Deepika's wings were made to fly! Just look at them? They're bold and beautiful. They make her milk chocolate coloured eyes pop and draw instant attention to her facial features. Not to mention, her mascara-coated lashes are beauty goals! No prizes for guessing Deepika's favourite colour here. She looks like a vision in black and her smokey eye makeup is clearly overpowering her outfit and jewellery. Notice how the black eyeshadow is aligned with her wing eyeliner? During the festive season, she flaunted this look where her lids were painted with cosmic hues of silver, purple and pink. It looked festive and at the same time aesthetic. The colours worked with her skin tone and matched the colour of her outfit beautifully. Truth be told, Deepika looks the prettiest when she plays around with vibrant colours. Speaking of vibrant colours? 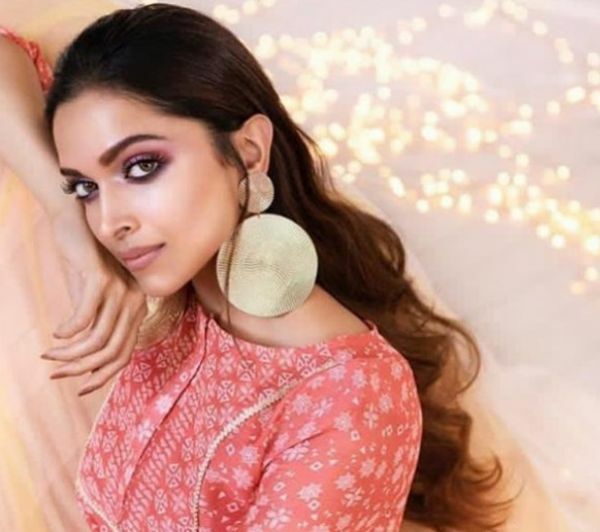 Remember the time when Deepika Padukone sported rose gold eyeshadow for a jewellery brand? She went for a monotone makeup look here by not just having pink on her lids, but on her lips and cheeks as well. It's not just winged eyeliner styles and smokey eyes for this gorgeous babe. Occasionally, she likes to play around with glitter as well. Her lids look glittery here and we bet she must have gotten plenty of compliments for this makeup look. We love that she went with uber dramatic lashes and skipped the liner. Just take a look at Deepika's waterline! It has absolutely no product on it. Her upper lashline and lids are attracting some serious attention here. This is an eye makeup look that's totally worth giving a shot. Didn't we mention that DP loves her colours? The burgundy eyeshadow gives off a classy and sophisticated vibe. Plus, it complements her pale pink gown at the same time. It's been over a year and a half and we still haven't gotten over this look. 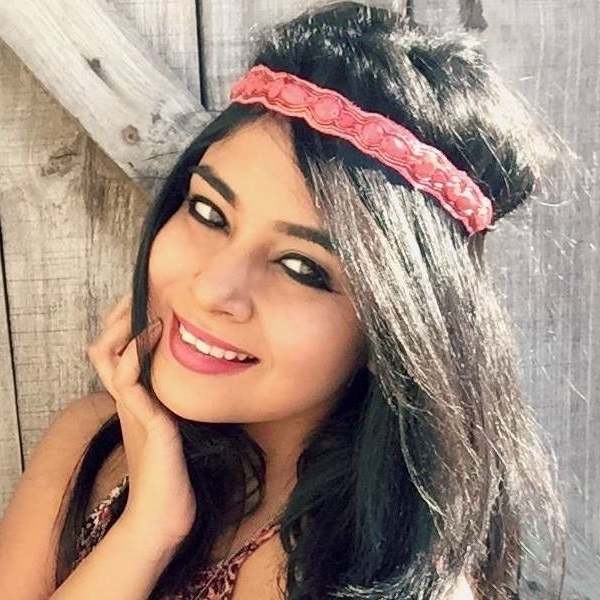 She's wearing a thick black kajal on both, the lower and upper lashlines and opted for an extreme smokey eye look. Till today, this is one of my favourite looks of hers.